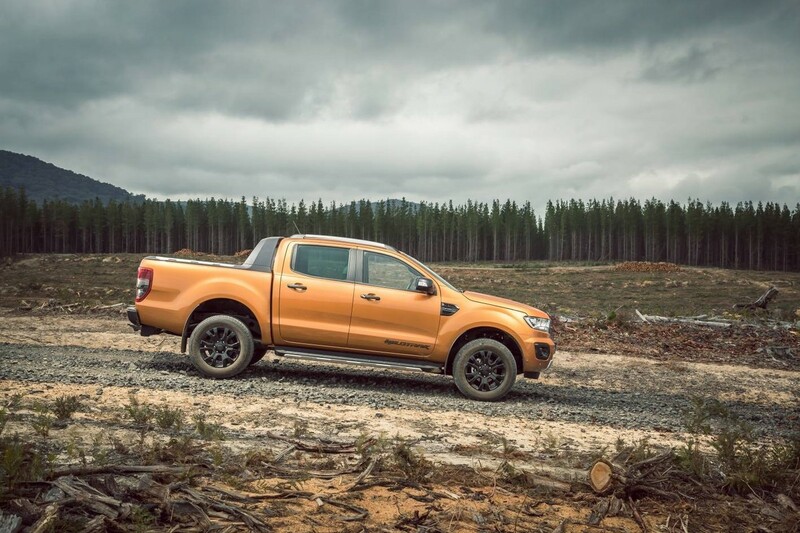 The Ford Ranger has changed its ways. 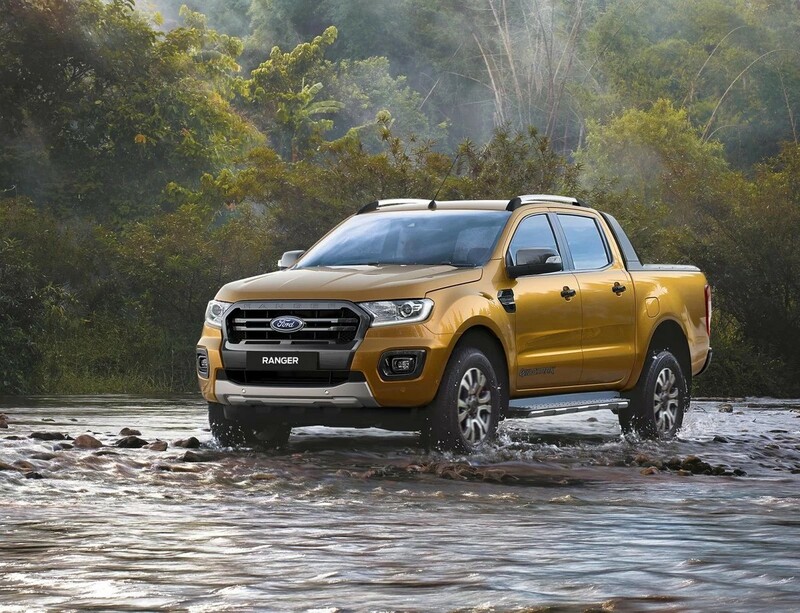 The facelifted version of the big-selling bakkie has seen some important alterations, including the most obvious one: the introduction of a 2.0-litre 4-cylinder bi-turbo diesel engine, which is mated with a high-tech 10-speed automatic transmission. 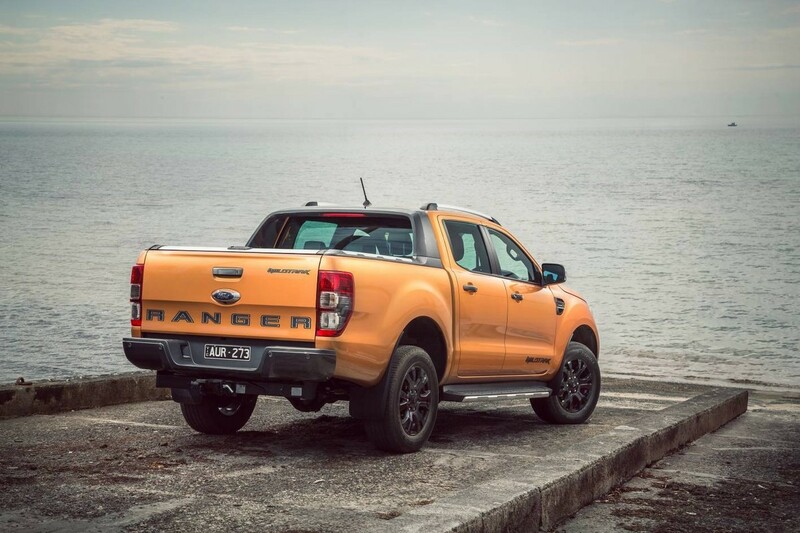 But there’s more to the updated Ranger than just a new powertrain... Our Australian correspondent Matt Campbell has tested it before it arrives in South Africa in 2019. Let's address the most pertinent question first: Does the new 2.0-litre bi-turbo engine, which has peak outputs of 157 kW and 500 Nm of torque, make the existing top-of-the-range engine (the well-known 3.2-litre 5-cylinder single-turbo diesel powerplant) redundant? Well, on paper it certainly seems it has. By dropping a cylinder and adopting another turbo, the new bi-turbo powerplant out punches the fiver’s grunt numbers, which remain set at 147 kW and 470 Nm for 2019 models. 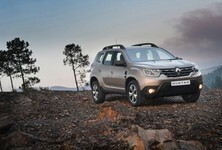 There have been no changes to the existing 2.2- or 3.2-litre engines. The new 2.0-litre bi-turbo engine weighs around 30 kg less than the 3.2-litre 5-cylinder unit. 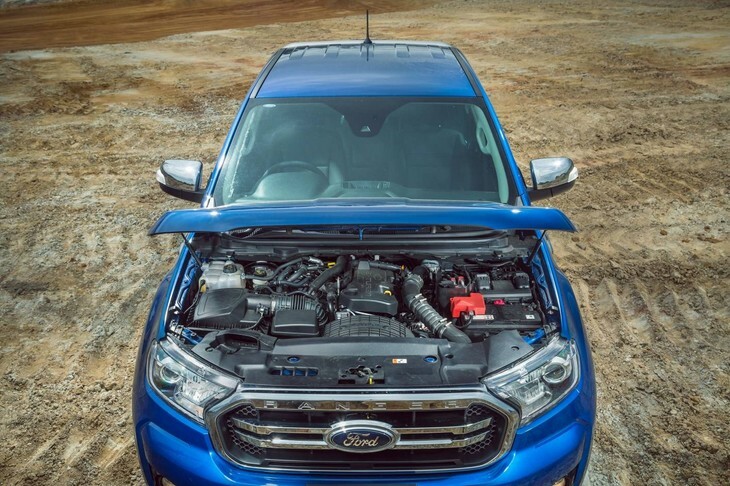 With full power available at 3 750 rpm and maximum torque of 500 Nm shifting things along from 1 750 to 2 000 rpm, you could understand why Ford has teamed the engine with a 10-spd automatic transmission, which does its best to try and keep the engine in its sweet spot at all times. How does it work? Ford says the design uses a fixed geometry turbo that aims to negate low-rev lag, while the second turbo is a variable geometry unit for improved airflow at higher speeds. 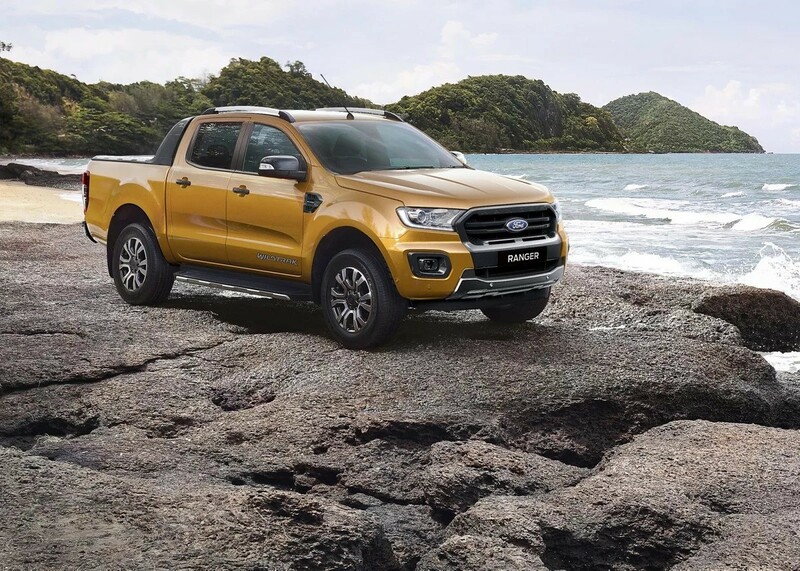 In practice, the engine largely lives up to Ford’s claims of making for a “smoother, quieter” model: this is, undoubtedly, “the most refined Ranger yet”. 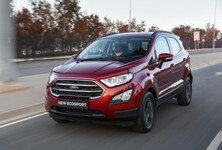 It is considerably more hushed in operation than the 3.2-litre engine, and because of the smoothness, you might find yourself wondering exactly what gear you’re in at any given time. Thankfully, you need only tap the plus/minus rocker on the gear selector and it comes up on the digital display. I found myself doing this every time I drove it because it’s amazing to see that you’re in 9th gear at 75 kph. 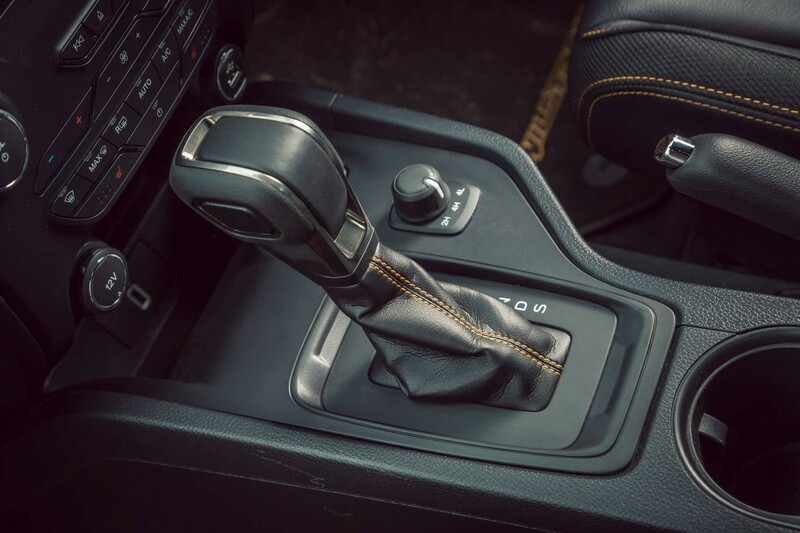 The new 10-speed 'box still has a low-range transfer case, effectively making it a 20-speed transmission! However, there’s something to be said for having fewer gears to choose from – it makes for a less confused driving experience. In my experience, the 10-speed 'box can struggle to select what gear it needs at times, and this was noticeable both when the vehicle had weight in the back, and when it was just me driving around the suburbs. What's more, there is some unwanted driveline shudder at lower speeds. In 1st and 2nd gear, you can often feel a heavy vibration through the cabin, which felt as though it was emanating from the transmission. There is no question that the powertrain is a welcome addition to the Ranger line-up. My opinion, however, is that there are better engines out there in the bakkie market, although they come in expensive packages. The 3.0-litre V6 in the VW Amarok is tremendous (plus its transmission isn’t as prone to confusion). And, while I haven’t yet sampled the V6 Mercedes X-Class, it promises to trounce the 4-pot Ford for both grunt and refinement. 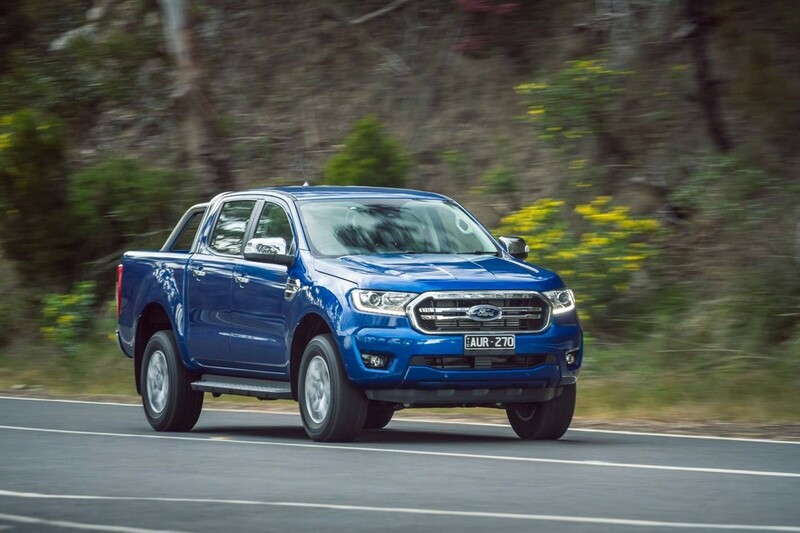 However, this is the drivetrain I would want if I was in the market for a Ranger... and it could well appeal to a different clientele than the hardy 3.2. 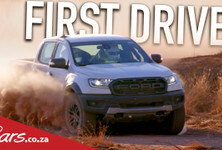 The 2-litre makes for the best overall offering under the bonnet of a Ranger. The 2.0-litre bi-turbo is pleasant on the ear and well within its stride when it comes to highway cruising; it never feels like it’s working too hard. For the heck of it, I gave it some welly (drove it with gusto), and it rewarded me with surprisingly strong performance… it’s not far behind a V6 in real-world performance, so there’s certainly something to be said for the wisdom of a bi-turbo setup and the lag-negating effect it creates. 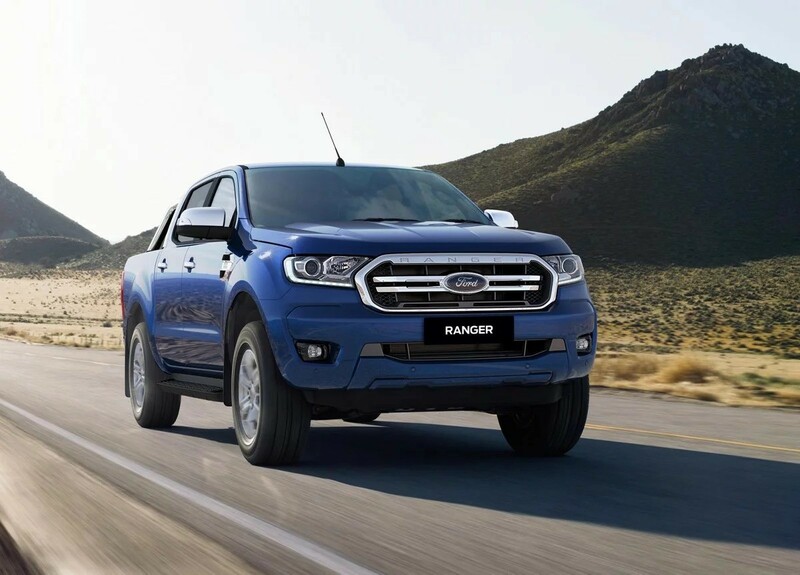 As for the rest of the driving experience, the Ranger has certainly had a softer edge applied to it. The springs have been softened at the front, the damper tuning has been adjusted and there are new bushes, too, plus stiffer roll-bars front and rear to help reduce and control body-roll. Compared with a pre-facelift Ranger, this one does feel a touch more tied-down in cornering situations, but the soft springs up front can make for a bit more of a pogo-style effect over speed humps (at low speed) and some bounciness if you encounter big bumps (at higher speed). I tested the load capacity to a degree, with 500 kg of ballast loaded in the load bin. And while the effect wasn’t that evident on the powertrain, the ride lacked some composure at the rear at lower speeds – the weight would normally help settle it, but it was a touch bouncy. By the way, I like the new "easy-lift" tailgate. It does what it suggests, making it less of a heave to shut the aft flap. 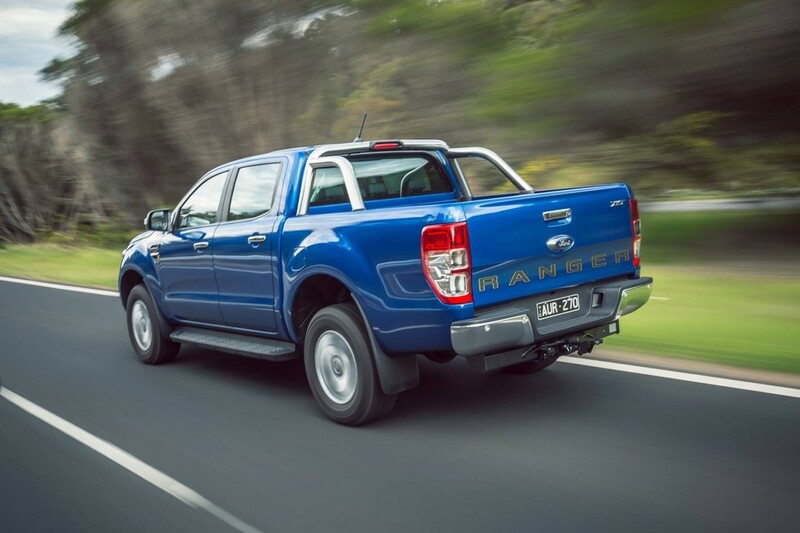 The ride on the facelifted Ranger feels more tied-down but it's not perfect at slower speeds. My absolute favourite thing about the Ranger, though, remains its well-balanced and responsive steering. 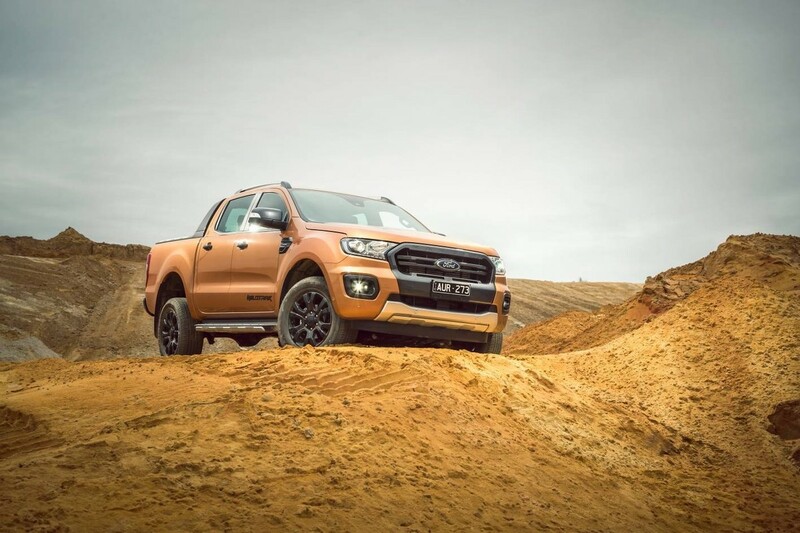 The company has managed to give its 5.4-metre-long, 2 250 kg Wildtrak derivative an electric power steering system that means you can literally use a pinky finger to park it. It is brilliantly weighted at lower speeds, even if it has a rather cumbersome 12.7-metre turning circle. At higher speeds (be it on the highway or on windy rural roads) the steering is brilliant. It is less prone to plough on straight ahead than some other bakkies, and the 2.0-litre engine certainly feels lighter over the nose than the equivalent 3.2 (the figures suggest there’s about 32 kg difference). 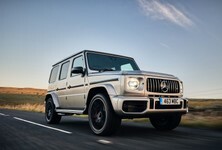 And while it doesn’t have the most sophisticated braking setup of modern-day pick-ups – discs at the front, drums at the back – it pulls up honestly enough. 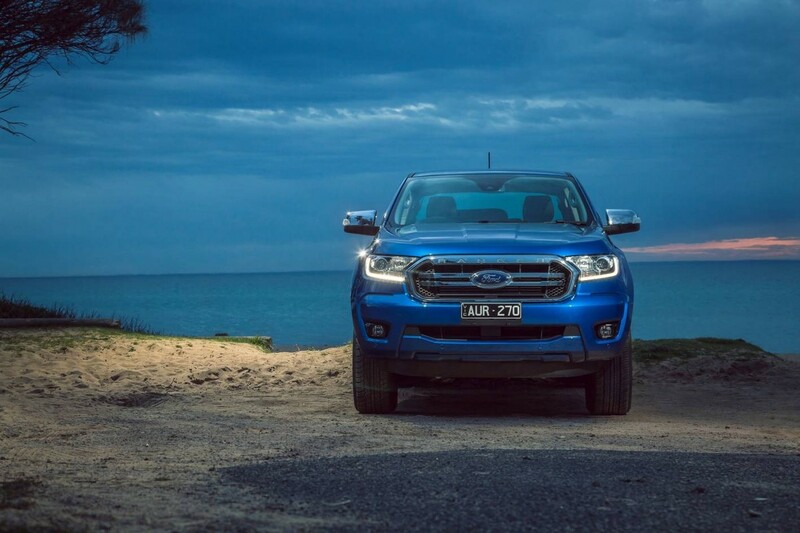 Yes, in Australia there’s the choice of the 2.0 or 3.2 in high-spec XLT and Wildtrak guises, and I’d expect that strategy to be a successful one. If that's how the local line-up will look, I’d suggest that when it comes time to decide you test drive both, back-to-back, over the same road loop. 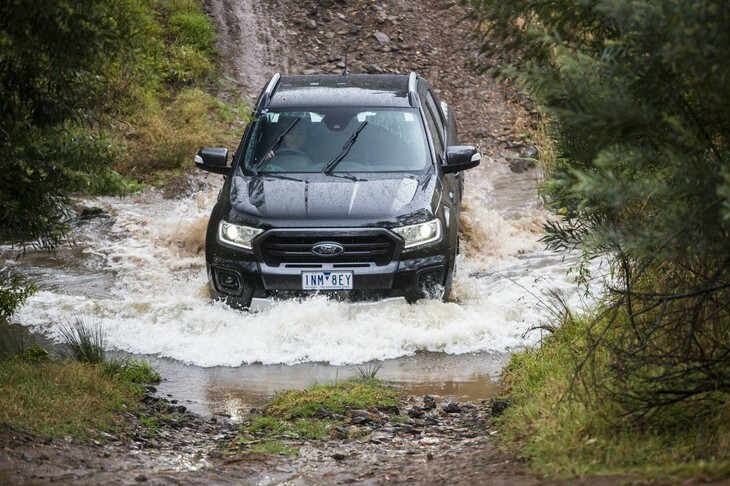 Wading depth on the facelifted Ranger is an impressive 800 mm. 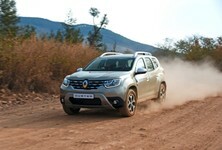 If you plan to do a lot of off-road driving, the 2.0-litre bi-turbo will be up for the task. It still has a proper low-range transfer case, and the fact there are 10 ratios to choose from means there’s a lot of capability on offer. Plus it has some strong specifications in terms of ground clearance (237 mm), approach angle (29 degrees), departure angle (21 degrees), a ramp break-over angle of 25 degrees, and wading capability up to 800 mm. Sadly I haven’t had a chance to tow with the new 2.0L bi-turbo engine as yet, but it retains the same 750 kg (un-braked capacity) and 3 500 kg (braked capacity) ratings as the bigger-capacity motor. It would be most interesting to see just how much harder the engine and transmission have to work while pulling a couple of tonnes behind it. In Australia, there’s a broad application of Ford’s Sync 3 infotainment package, which is welcome because the system is rather good. Even if it’s only offered in the most expensive variants, the system includes Apple CarPlay and Android Auto compatibility, plus the brand’s built-in sat nav. You might find some annoyance if you have a destination set in the nav system and then connect your phone – it can override the existing mapping. 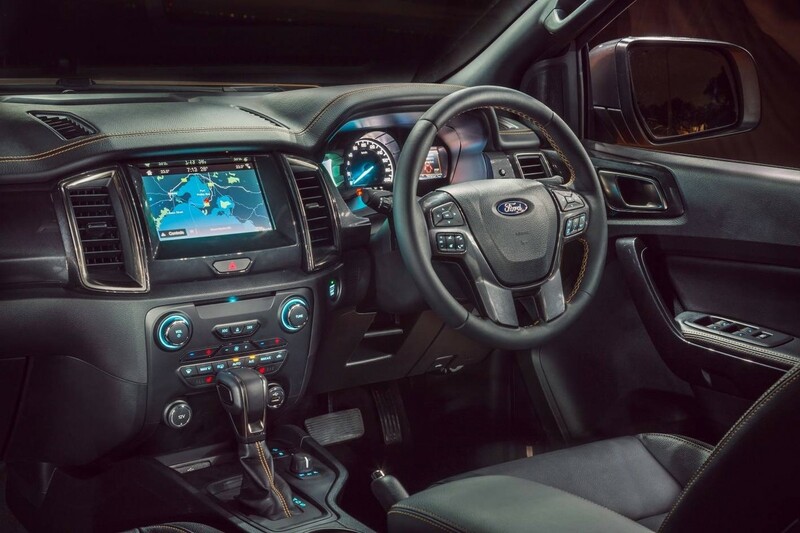 The Ranger's interior remains very similar with Sync3 installed on Wildtrak and XLT models. The digital instrument screens on either side of the central speedometer allow critical information to be displayed and add to the flair of the cabin with their colourfulness. 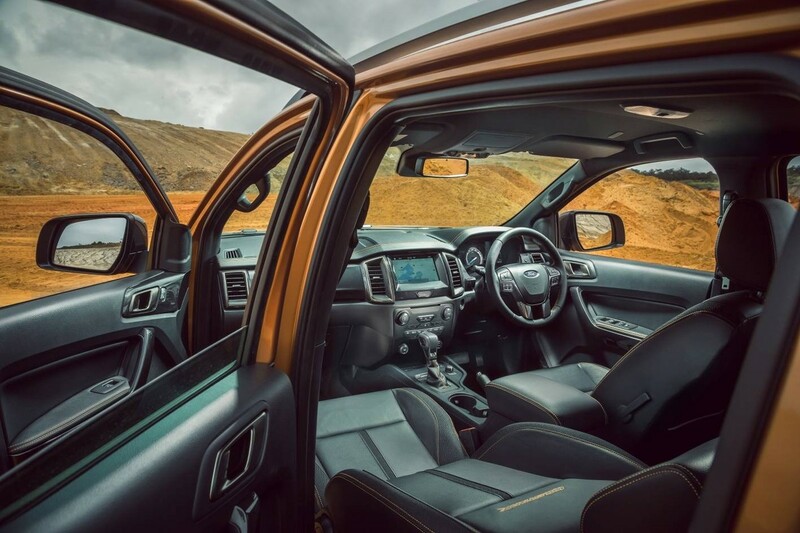 And for me, the Ranger Wildtrak nails the brief for feeling special inside – the orange stitching theme that is evident on the dashboard, seats, steering wheel and shifter makes you feel like you’re driving something that your mates will envy. You could just take them with you... the back bench of the Ranger is one of the best in class for space and comfort. 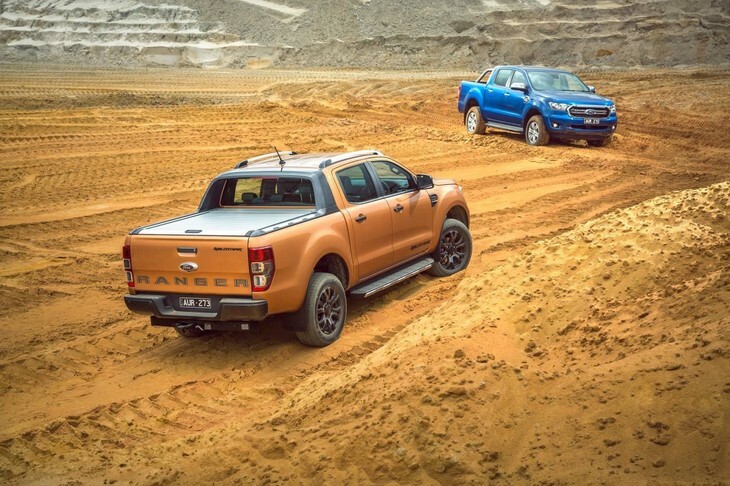 Another important consideration for these dual-purpose, dual-cab models is that of safety, and the updated Ranger sees more of the advanced tech gear added as standard on Australian-spec Wildtrak, and as an option on XLT models. There’s autonomous emergency braking (AEB) that works at speeds above 3.6 kph, and the system also works to detect pedestrians and warn the driver and failing that, bring the vehicle to a complete stop. New traffic sign detection system displays in small beside the speedometer. 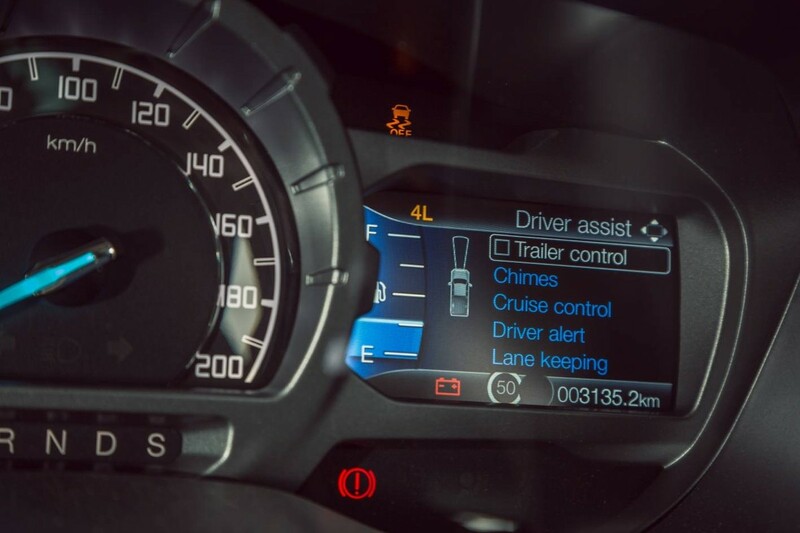 There’s also an adaptive cruise control system combined with a forward collision alert system, and if you do a lot of nighttime driving (as I do), you’ll certainly appreciate the new auto high-beam headlights. Other tech inclusions in the pack offered in Australia include driver fatigue detection, lane-keeping assistance, traffic sign recognition (which annoyingly bings and bongs every time it sees a new sign if you’re over the limit it suggests), and there’s a semi-autonomous parking system for those concerned about their ability to park what is one of the longest bakkies on the market. 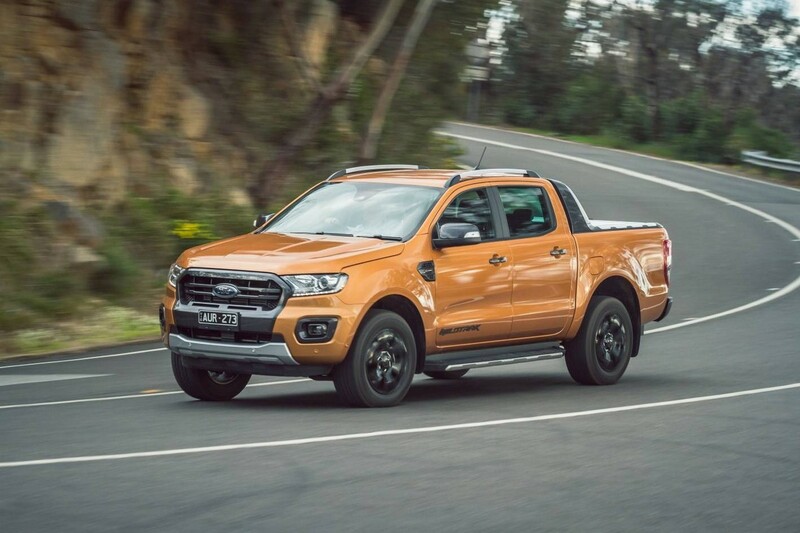 Would I buy a Ford Ranger powered by the new 2.0-litre turbodiesel engine over any other Ford Ranger? Yes, I would. 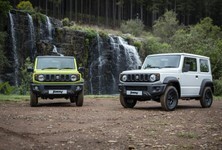 Would I buy one over any other (mid-luxury) bakkie, including the likes of the Toyota Hilux, Nissan Navara, Mitsubishi Triton and even the Mercedes-Benz X-Class? Certainly. 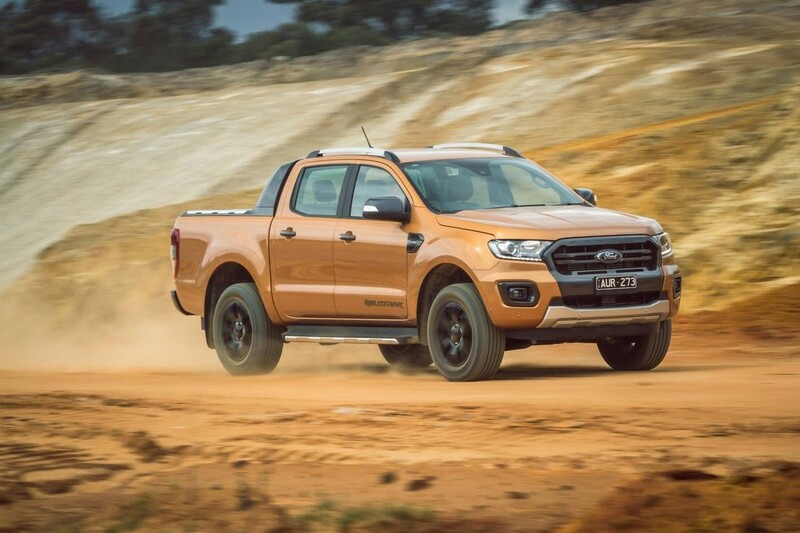 This is a thoroughly well-rounded double-cab bakkie, one with a lot of potential to please. Admittedly it isn’t perfect, but the 2.0-litre bi-turbo engine certainly helps push it further towards that level.